← Into the Dark … or … Into the Light? What is it about a hometown? Picture your hometown. Was it a big city, a little burg, a remote countryside? It doesn’t matter whether you left that hometown kicking and screaming because you wanted to stay forever or whether you fled from its boredom, that location remains the place where you were born, the spot that helped shape you with early experiences, values, friendships, great joys, and deep sadnesses. Leaving the scene doesn’t mean you leave the memories. My hometown is a small community just outside of the Buffalo city limits, so small that when people ask where I am from, I simply say Buffalo. Buffalo still fascinates and interests me, even though, I must confess, I don’t miss the cold winters, mounds of snow, and freezing winds. Images of the city’s beautiful old architecture still linger in my mind. Buffalo is a city dating from the late 1700’s when it was a trading center. It boomed after the opening of the Erie Canal in 1825. The building of the St. Lawrence Seaway in the 1950’s helped Buffalo’s decline. 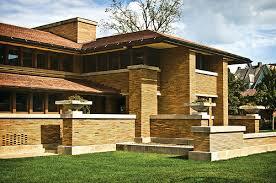 But beautiful and important buildings remain such as those by Frank Lloyd Wright and Henry Hobson Richardson. 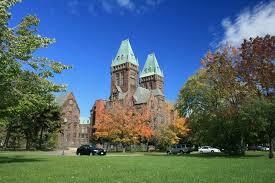 Buffalo has approximately 80 sites on the National Historic Register. Writers have chosen Buffalo as a place to work or live or have chosen it as a story setting. Author Lauren Belfer’s book City of Light was published in 1999 and gives a glimpse of 1901 Buffalo. Other authors include Taylor Caldwell (attended the University of Buffalo and wrote in Buffalo), J.M. Coetzee (began his first novel here and taught at the State University of New York, Buffalo), F. Scott Fitzgerald (early childhood), Mark Twain (part owner of the Buffalo Express newspaper), and Joyce Carol Oates (she and I attended the same high school). I found this list interesting, about novels and stories related to Buffalo. It’s fun to read stories set in a locale you know. Frederick Law Olmsted, founder of landscape architecture, gave Buffalo a wonderful park system. Instead of a park in a city, he liked the concept of a city in a park. Three parks (The Park, The Front, and The Parade) formed the park system and are still basically in tact and have been renamed Delaware Park, Front Park, and Martin Luther King, Jr. Park. Where I went to college is across the street from Delaware Park. The radial and grid design of Buffalo’s streets by Joseph Ellicott allowed for maximum park access. (Ellicott Creek named for him flowed behind one of my childhood homes.) The main parkways extend out like spokes of a wheel and all lead to Niagara Square. Regular streets form a grid between the parkways. An interesting city. 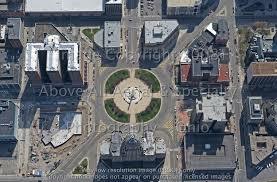 Aerial view of Niagara Square. City Hall is at the bottom of the image. In 1901 Buffalo experienced a tragedy. The city was the scene of the Pan-American Exposition. Industrialists and big business were prospering, immigrant labor wasn’t. President William McKinley visited the Exposition and chose to give a speech at the Temple of Music, followed by a short meet and greet of everyday people who wanted to shake his hand. Leon Frank Czolgosz, an unemployed member of the immigrant working class and a convert to anarchism, waited in line. As both he and the President extended their hands in greeting, Czologsz shot him twice. The shot to the President’s abdomen proved to be fatal. McKinley died eight days later after gangrene set in from the botched procedure done in treatment of his wounds. Today, Buffalo is experiencing a Renaissance and, according to the New York Times, is attracting young college graduates. And where are they working? According to Forbes, Buffalo’s major industries are financial services, technology, and education. The University of Buffalo is one of the nation’s leading research universities. I’m happy for the city, for its slow rebirth, and for the memories it has given me. I’m also proud of this once mighty city. I know some of the feelings and values and sense of setting I experienced growing up there slip into my short stories and writings. And into my character. What is it about progress … realizing some of the things you have lost, realizing some of the things you value … even though you choose to move on? And your hometown? Does it work into your writing or art or thoughts? This entry was posted in Books, Creativity, Finding Ideas: The Creative Process, Inspiration, Looking for Inspiration, Reading, short story, Writing and tagged 1901 Buffalo, architecture, Buffalo, City of Light, Erie Canal, F. Scott Fitzgerald, Frank Lloyd Wright, Frederick Law Olmsted, Henry Hobson Richardson, hometowns, J.M. Coetzee, Joseph Ellicott, Joyce Carol Oates, Jr., Lauren Belfer, Leon Czolgosz, Mark Twain, Martin Luther King, Pan-American Exposition, President William McKinley, St. Lawrence Seaway, Taylor Caldwell, the State University of New York, University of Buffalo, William McKinley, writing. Bookmark the permalink. 8 Responses to What is it about a hometown? Really interesting and I love the idea of the city in a park. Yes, the part of London I grew up in is very special to me and had lots of different natural places for kids to wander around! London is a wonderful city. I’m thinking of theatre and history and tea and conversation. Would have loved to have wandered about its streets and parks when growing up. Thank you for stopping by. Thanks for this most interesting article. 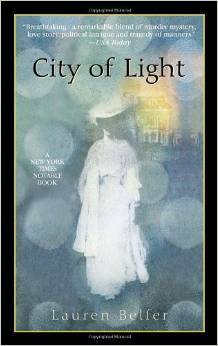 “City of Light” has a wonderful history of Buffalo and the development of electricity. Having been back in the area the past 13 years, and reading the Buffalo paper, I’m always impressed with the sense of community and how friendly folks are there. 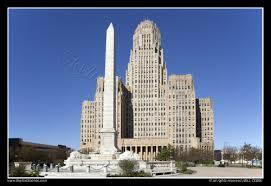 Buffalo also has developed wonderful cultural assets and is developing a major medical center. I haven’t been back to Buffalo in a few years. Last time was for a Northern Illinois University/University of Buffalo football game. The grand old city will always have a place in my heart. Nice to read your good words about her progress and her people. And nice to have you stop by the blog!